Marvel’s Avengers: Age of Ultron is expected to break box office records when released worldwide. Marvel Cinematic Universe (MCU) is an American media franchise centred on a series of superhero films, independently produced by Marvel Studios and based on characters that in appear in publications by Marvel Comics. The original film, Iron Man, was released in 2008. 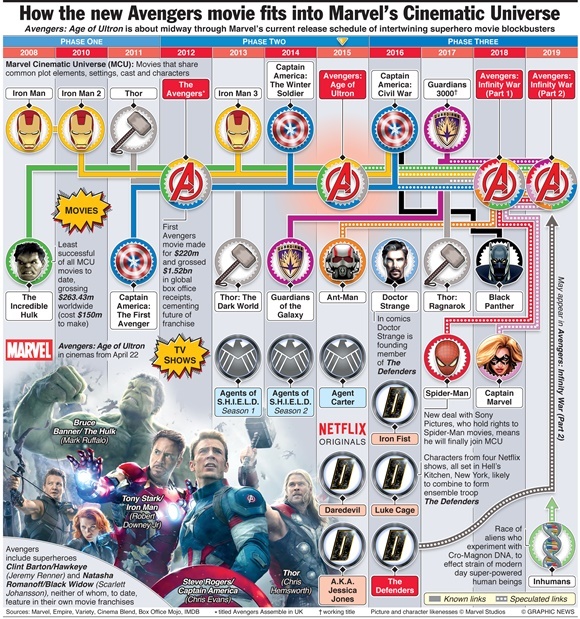 In the shared fictional universe conceived by Marvel, plot elements, settings and characters cross over between films. The films are planned in three phases. The films in Phase One (2008-2011) introduce the main universe in which the films are set, as well as core characters such as Iron Man, Thor, and Captain America. As of 2012 these films had grossed $3.8 billion ($3,811,026,406) worldwide. Phase Two films focus on the post-Battle of New York exploits of the Avengers and S.H.I.E.L.D, introduce the Guardians of the Galaxy and further explains the origins of the infinity stones. 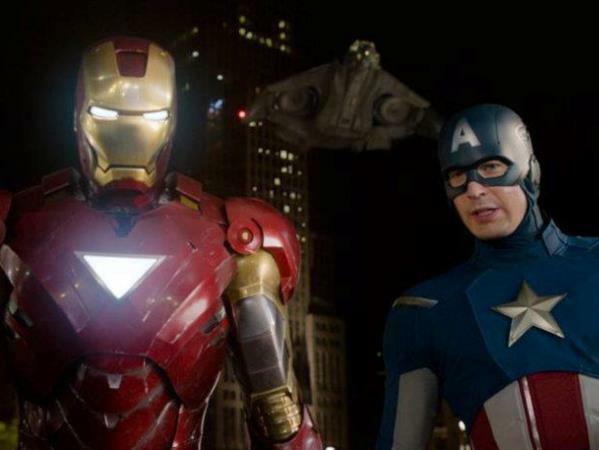 The Avengers: Age of Ultron comes half way through Phase Two. Marvel’s plans for Phase Three (2016-) culminate in the two-part Infinity Wars in which all the characters appear.